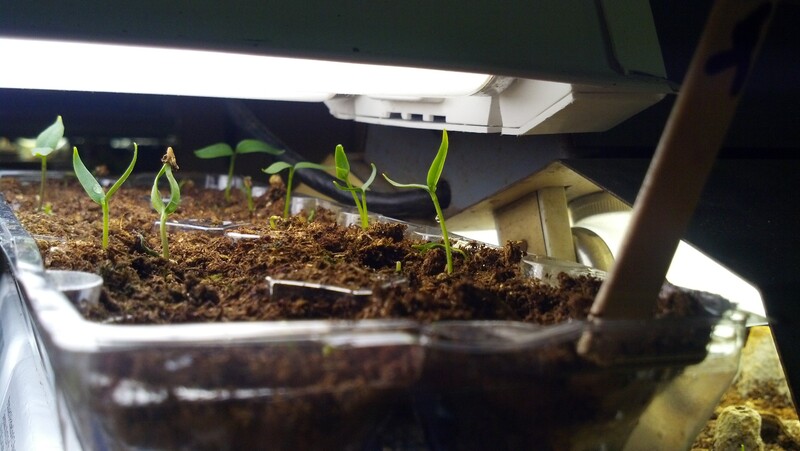 The peppers and the lettuce are all growing fast. 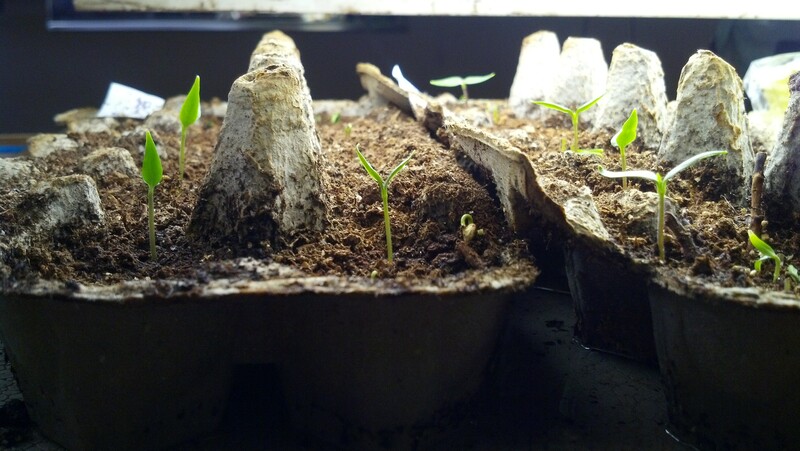 There are only a couple of pepper varieties that have not yet sprouted. 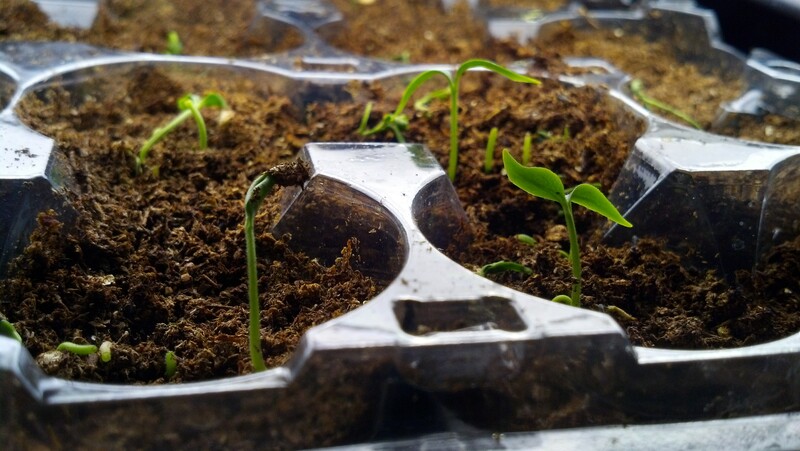 The sweet and bells have a longer germination – 10-21 days. 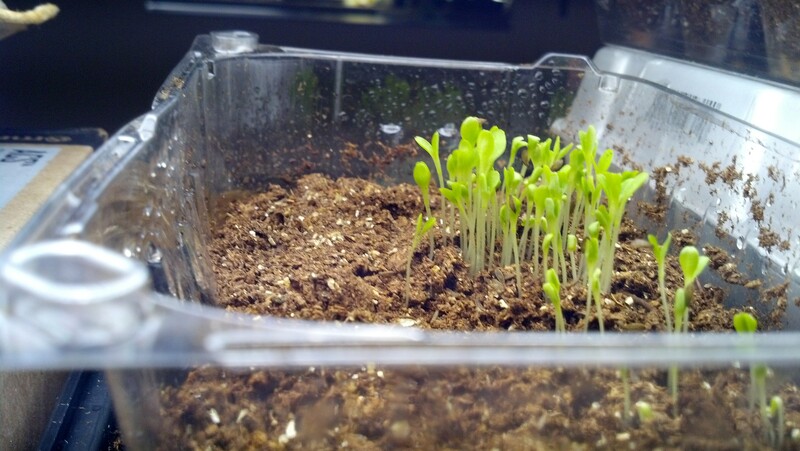 I also started some broccoli and cilantro on Friday. The cilantro I started was from the seed we saved last year so we’ll see if it does anything. I’m not starting anything this week, but next week I’ll be starting basil, hibiscus, salvia and more broccoli. Since I am out of room under my grow lights downstairs, I’m going to set up a long table in Jacob’s room. His and Joe’s room have the south facing windows and so are the warmest with the most sunlight. I chose Jacob’s room because the boys mainly play in Joe’s room. I’m hoping that the plants aren’t too tempting for them. I guess I’ll have to set up some sort of alarm system in case they danger roll in and start messing in the dirt.